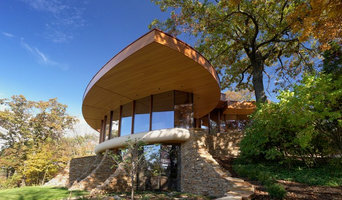 Signature Builders, Inc. was founded by Bert Butterfield in 1991 on the premise that every home should be a unique reflection of the homeowner, and that every home building experience uniquely reflects on the builder. Everyone in the Signature process has a stake in building a home to be proud of - one that stands out from the crowd in quality, style and presence. We strive to make sure that dream homes become reality and that every customer would choose to be a Signature customer again. Customers choose Signature Builders, Inc. for many reasons, but as the home is designed and once you move in, it's the "Signature look" and quality that you will love. We strongly believe in up-front planning with our customers and building partners and take pride in delivering our homes on time and within budget. We don’t like surprises, and don’t think our customers do either – so we make sure you will know what you are getting and what's happening along the way. We look to them for best-of-breed ideas and technologies that will contribute to the quality, durability, efficiency, value and style of the home. We only build a few houses at a time, so we can build them as if they were our own. We pay attention to details, because we care about details. Even our most discriminating customers depend on us to take care of the smallest things and know that we will follow-through on our promises. But before you start sending out dozens of emails and making phone calls, sit down and think about your project. What's your budget? What is the scope of your project? Will you need more than one type of professional to complete your home improvement project in Pewaukee, WI? Can you afford to complete the full project now, or should you tackle it bit by bit? 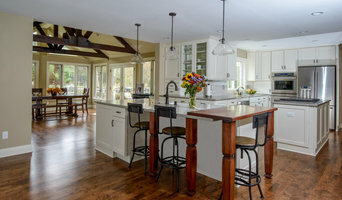 Once you've settled on your project’s priorities, budget and scope, it's time to start researching Pewaukee, WI home design professionals. Don't sell yourself short and settle on the first professional you set your sights on. Make sure that you're working with someone local, who can get to the jobsite easily and efficiently. Look into the person’s reviews, ask to speak with former clients and to see previous jobs in person. Take a good look at their portfolio photos: How similar are these projects to your own? Be honest — that mansion might look beautiful, but it might not have a lot in common with your little bungalow. Reach out to multiple professionals — especially for larger projects — and don't settle for the first bid you hear. Comparing multiple Pewaukee, WI professionals' bids and experiences can help you find the one that’s best for you. Ask a lot of questions now, so you won't have unexpected answers later. Find a home design professional on Houzz. Narrow down your search by type of professional and location. 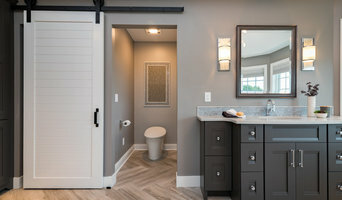 Browse Pewaukee, WI portfolio photos, read client reviews and contact each Pewaukee, WI professional for more information. Check out the information in the specialized professional sections too for tips on how to hire the right professional for your project.